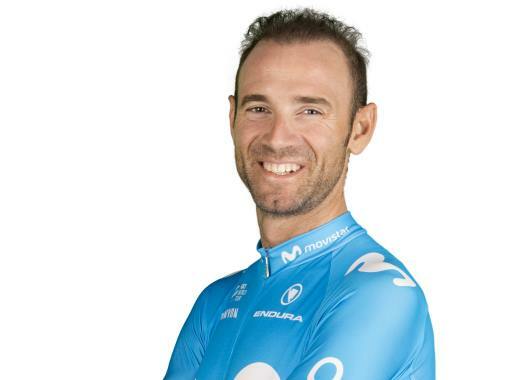 Alejandro Valverde (Movistar) has taken the victory at the second stage of the Vuelta a España. The Spaniard was the strongest rider at the finish line in Caminito del Rey and beat Michal Kwiatkowski and Laurens De Plus. The second stage of the last grand tour of the year was 163.5 kilometres long between Marbella and Caminito del Rey and took the riders over a mostly flat course that led to the first uphill finish of the race. The stage started with the escape of seven riders that included Thomas De Gendt, Pierre Rolland, Luis Angel Mate and Alexis Gougeard, among others. The front group got more than four minutes of advantage over the peloton, which was led by BMC Racing Team attempting to defend Rohan Dennis' Red Jersey. With 65 kilometres to go, Bora-hansgrohe took the lead of the pack and increased the pace, managing to stretch it completely. The climbs of the day also took a toll in the front group until only Gougeard (AG2R La Mondiale) and Rolland (EF Education First) remained. At the peloton, Movistar and Sky also took turns to pull the peloton causing that riders like Richie Porte (BMC), Dennis, and Peter Sagan (Bora-hansgrohe) were left struggling at the back. With 15 kilometres remaining, Rolland, who was the last escapee at the front, was reeled back in by the pack. The high pace at the front left other managed to drop riders like Ilnur Zakarin (Katusha-Alpecin), Gorka Izagirre and Vincenzo Nibali (Bahrain-Merida). With one kilometre to go, Steven Kruijswijk (LottoNL-Jumbo) tried to attack but was reeled back in by the Sky riders. The next one to try was Quick-Step Floors' Laurens De Plus but he was neutralised with 200 kilometres to go. Michal Kwiatkowski (Sky) and Alejandro Valverde (Movistar) fought for the victory and the Spaniard showed to be the strongest, leaving the Pole at the second position but with enough time to take the lead in the General Classification. De Plus crossed the finish line in the third position.